Our ministries are funded through a combination of donations and internally generated revenue. Because of individuals and churches giving to us faithfully each year, we are able to continue this ministry in Southeastern Kentucky. 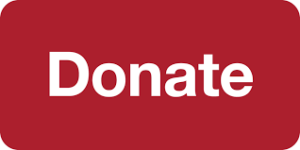 CLICK BELOW to make an online donation. Red Bird Mission uses vendors who utilize secure server software (SSL) to process your credit card gift. It encrypts all of your personal information, including credit card number, name, and address, so that it cannot be read as the information travels over the Internet. Gifts may be given in memory or honor of persons by designating as such when giving online, or on the donation form when mailing a gift. A notification card will be sent to the individual or family member when that information is provided. There are many options on how to give with your church family. Red Bird Mission is a 501c(3) organization. Many employers offer matching funds for your charitable gifts. Ask your employer today! Please call us at 606.598.3155, M-F 9 a.m.-4 p.m.EST and we will be happy to process your donation. Through careful planning with your financial advisors, you can make a lasting impact on the ministries of Red Bird Mission through your will or other planned gift. Email for more information. Red Bird Mission has many vital needs for our areas of ministry. View the Current Needs List by clicking here. View the School’s Needs list by clicking here. View the Christmas Needs list by clicking here. View the Back-Pack Assistance Needs list by clicking here.